Although the market garden and orchards are our main farming activity, much of the rest of the farm is run as low-intensity pasture and traditional hay meadow. There are also two areas of fen, which are rich in bio-diversity and are designated as County Wildlife Sites. 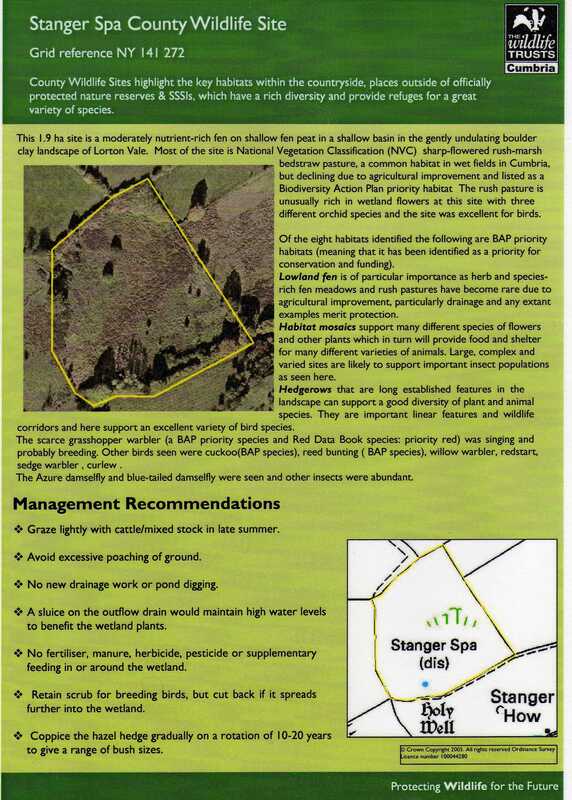 These areas are carefully managed by controlled cattle grazing and selective cutting. A few years ago, we seeded two meadows with wildflower seed as part of the Cumbria Wildlife Trust's 'Hay Day' project. These meadows are cut for hay in late July, and provide winter feed for our small herd of Angus cattle. Situated within the larger of the fen areas is the saline well known as Stanger Spa. 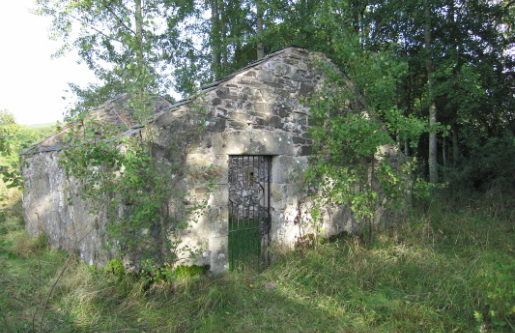 This is an ancient holy well, and is enclosed by a now roofless 17th/18th century building. It is a peaceful and enchanting spot, surrounded by a stand of Aspens, and far from the nearest road or habitation. A public bridleway runs past Stanger Spa.